Per the usual around here, another month has flown by in a flash. With the end of October having quickly arrived, this weekend it was time to pack away the shorts and sandals and pull out the boots and snow pants. What else does the upcoming winter mean? The holidays, of course! 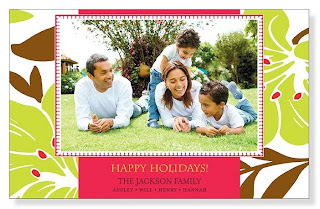 But it isn't time to think about the pushing and shoving over who is in the door first on Black Friday or the in-general hustle and bustle of the season, no, it's time for something enjoyable: Holiday cards! 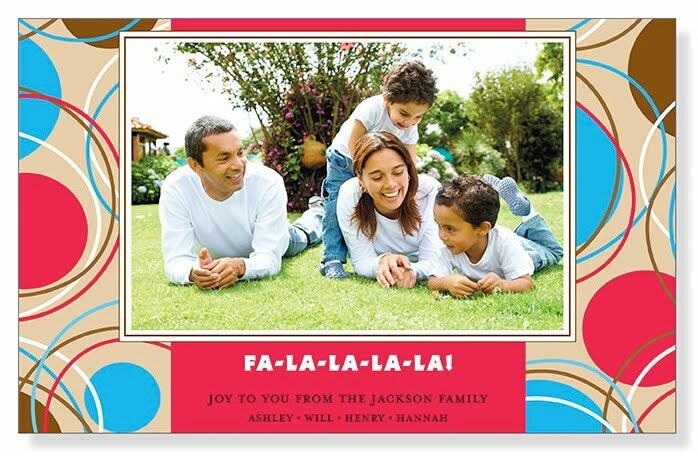 And, even better than that: Holiday photo cards! And when it comes to stylish, colorful, brighten-their-day-the-moment-they-open-the-envelope cards, no one does it better than SanLori. I love photo cards, I really do. Traditional boxed cards are nice to receive as well, but seeing a picture is just that much more fun. Who doesn't like to pull out a card and find any variety of happy, smiling faces inside to celebrate love, family and friendship this season? No matter what your style or personality, SanLori has a great design that you are sure to love. In writing my recent SanLori review, one of the main things that I noticed there was that from classic and elegant to modern and trendy, once you begin browsing it's hard to find a place to stop. Not into all the frills of traditional Christmas cards and want something more unique and contemporary? That's what you'll find in the Holiday Sphere Photo Card. Did your family take a wonderful vacation this year and you'd like to show that off while spreading a little cheer? Then maybe you'd like to send out the fun Tropical Christmas Photo Card. Or, thinking that photo cards aren't for you since you don't have children or they're grown and on their own? Well, how about showcasing another little guy that is sure to bring a smile with the Paw-perrazi Photo Card? So, what are you waiting for? The holidays are going to sneak up in a blink of an eye so now is the time to get your custom cards ordered and ready to send out. As SanLori are experts in invitations, birth announcements, wedding invitations and much more, you can rest assured knowing that your holiday cards are going to be high quality, unique and ready to put a smile on the faces of your family and friends. One lucky person will win up to 75 Holiday Photo Cards of their choice from SanLori! ARV $150! To enter to win: Check out SanLori's great selection of Holiday Photo Cards and tell me which one you might order if you win. A big thank you to SanLori for providing various items for me as well as up to 75 Holiday Photo Cards for one lucky giveaway winner. The opinions shared are my own and honest if you really need to see more, click here to see how I roll. Rouge Holiday Photo Card with Ribbon is the one I would choose! i LOVE the rouge holiday card with red ribbon! Great giveaway! I went to their site and would probably choose these great coral greeting cards! I also entered the Tiny Love Treasure's hand stamped necklace giveaway! I also entered the Pear Tree Greetings Thank You Card giveaway! I also entered the Gaddy Nipper Crayons Giveaway! I also entered the Sport Brella Chair giveaway! I also entered the Glade Scented Oil Candle Giveaway! i like the rogue holiday card with ribbon... very fancy! Love this giveaway! I love the reindeer rally card! I follow you via GFC #2! I like the Faith Hope Love ones! 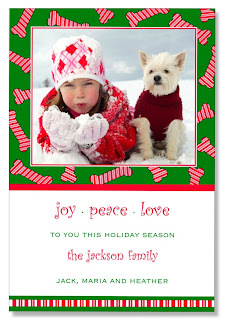 I like the Joy Peace Love holiday card! I like SanLori on Facebook. I like the tapestry photo card. I like SanLori on FB. I left a post on SanLori's wall about this giveaway. I think I'd get the Chopin Script and Copperplate cards. http://sanlori.com/prod.php?pid=3014&id=51&g=5 would be the one I ordered. Thanks for the chance. I subscribed to their newsletter too. Thanks! And....I shared on their facebook page too. Thanks! The paw-perrazi cards would be my choice. Who doesn't want their pet in their Christmas greetings!? I'd get the Glimmer Photo Card.